Drying extends the shelf life of milk apart from reducing the weight and volume. Drying lowers the cost of transportation also. A high quality skimmed milk powder produced by the concentration of skim milk solids by evaporation and drying in a modern plant. Manufacturer of soya milk/paneer making machine, bag packing machine, murabba petha machine and Milk Powder Plant. We are the Manufacturers of Coconut Milk Powder making Machine. We are among the eminent names in the industry for manufacturing and supplying Milk Powder Plant for our clients. The offered Milk Powder Plant are made in tune with the variegated requirements of the clients. They are energy competent, easy to clean and user friendly. Offering the best equipment for processing milk powder, we are presenting Milk Powder Plant. 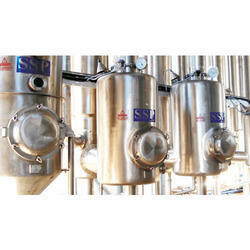 Multiple effect evaporators are used for evaporating the milk and concentrating it to milk powder. The evaporation is done under high vacuum conditions at low temperature. We deal in semi automatic milk powder processing machine. Being a market leader of this domain, we present the handpicked quality of Milk Powder Plant. 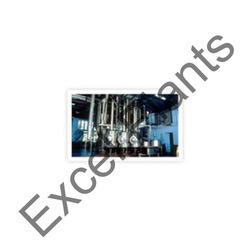 By using modern machinery, we manufacture these products as per the set industry norms. The coconut milk powder making machine is a crank type mechanical setuped for getting the quality output of coconut milk powder. We always try to efficiently deliver the coconut milk powder making machine in a simple mechanism where all can use to get the desired output.So we supply this coconut milk powder making machine is affordable price.